All values shown are transmitted EIRP Watts of radiation into the atmosphere. Blue circles are microwave broadcast earthstations and red are pulsed microwave radars. 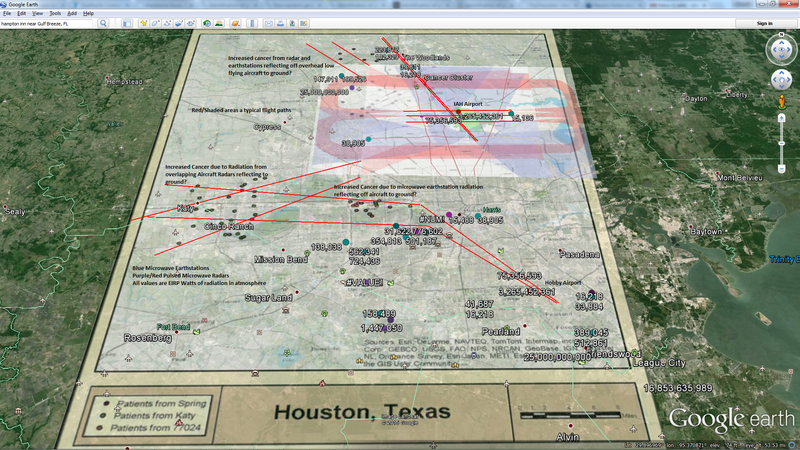 Red lines are airport flight paths. Radiation reflects of airplanes and refracts off atmosphere back to the surroundings.